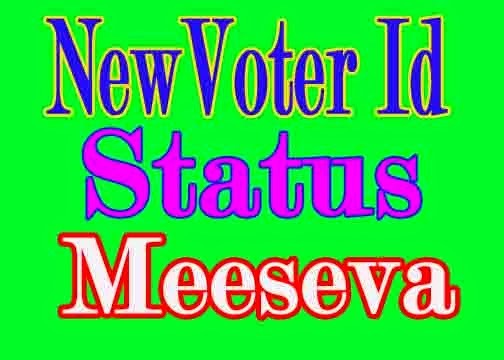 AP (Andhra Pradesh Telangana ) Election Voter ID Card status checking online 2019, released to check Voter ID card generated or not. Earlier who ever registered or Enrollment Voter Id Card online or personal. They may check their voter id card status online. Voter ID card necessary for Loksabha and Assembly election, Who ever applied for voter id card before 2 months they need to check their voter id card status online. Government of India and Andhra Pradesh telangana government has given last chance to voter id card enrollment online applied for voter id they have to check their status online. AP (Andhra Pradesh) Election Voter ID Card status at ceoandhra.nic.in, Voter ID card which as Card Number, Name, Father Name, Date of Birth and your permanent address. As for Government records in one day 1 million applicants applied for voter id card, I will show you how to check AP Election Voter ID Card status online by District name and constituency Name. 3. Search and get your print out at any e seva or computer centre.